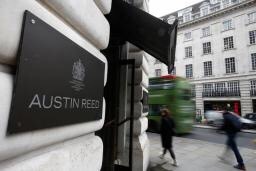 (Reuters) – British fashion retailer Austin Reed Ltd will start winding down as no viable offer was received for the company over a five-week sale process, its joint administrators said. The retailer will shut its 120 stores by the end of June, which will affect about 1,000 jobs, Austin Reed’s administrators at AlixPartners Services UK LLP said in a statement on Tuesday. Five of the company’s outlets inside Boundary Mills stores will be sold to AR Operations Ltd. The deal includes the transfer of 28 employees to AR Operations. The retailer’s ‘Austin Reed’ and ‘Country Casuals’ brands have also been sold to Border IP Ltd. The statement did not provide the value of both the deals. An AlixPartners spokeswoman was not immediately available for comment. Austin Reed, a 116-year-old business, fell into administration on April 26 after struggling for years in the UK’s intensely competitive clothing market. The news came just a day after British department stores group BHS was placed into administration, putting the 88-year-old retailer in danger of disappearing from the high street and placing 11,000 jobs at risk. Posted on May 31, 2016, in #retail, #uk, Other. Bookmark the permalink. Leave a comment.